A classic travel shirt that breathes, dries quickly, packs light and resists moisture. It’s made of 100% nylon plain weave with a DWR (durable water repellent) finish and 40-UPF sun protection. 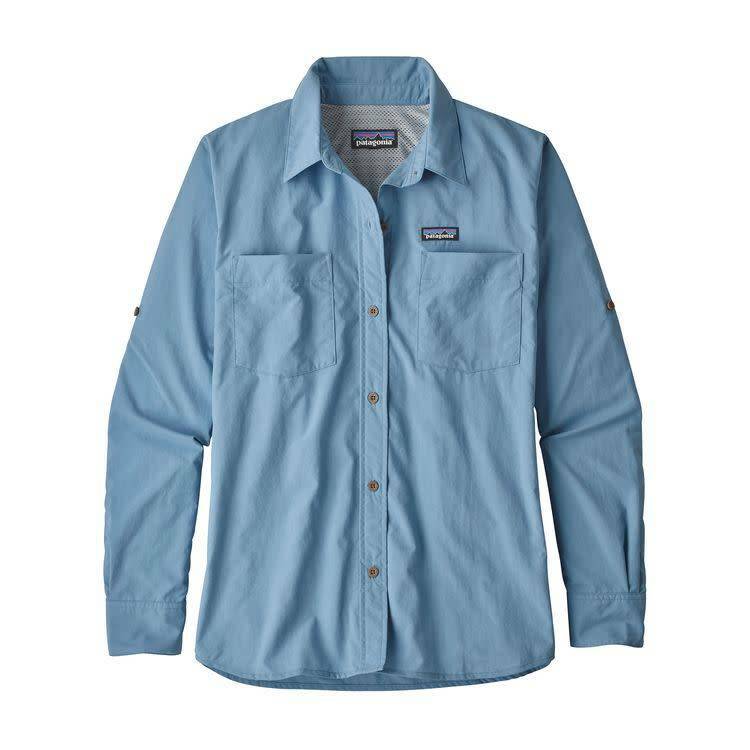 With a UPF rating of 40 and a DWR (durable water repellent) finish, this lightweight nylon shirt offers sun protection and a tight weave that discourages biting insects. The back yoke has a mesh-lined vented opening that keeps the air moving. Long sleeves roll up and secure with an adjustable tab. Details include a button-front placket and two chest pockets. Slight drop-tail hem and hip length. 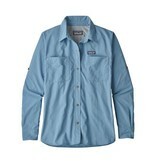 3-oz 100% nylon plain weave with a DWR (durable water repellent) finish and 40-UPF sun protection.